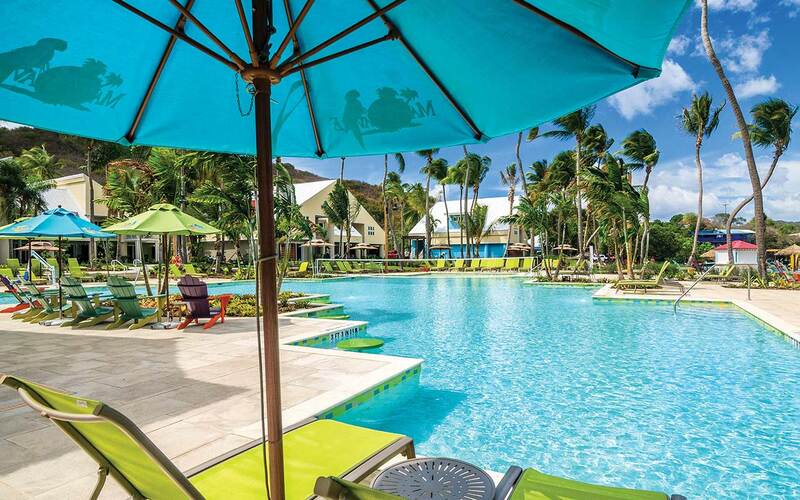 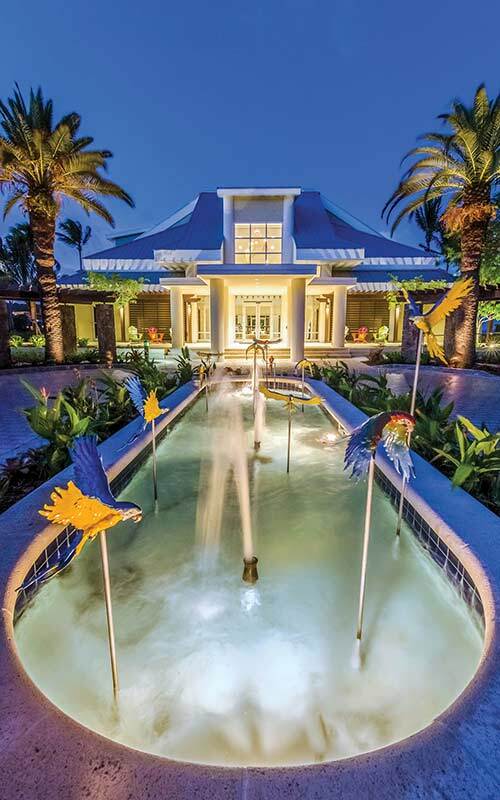 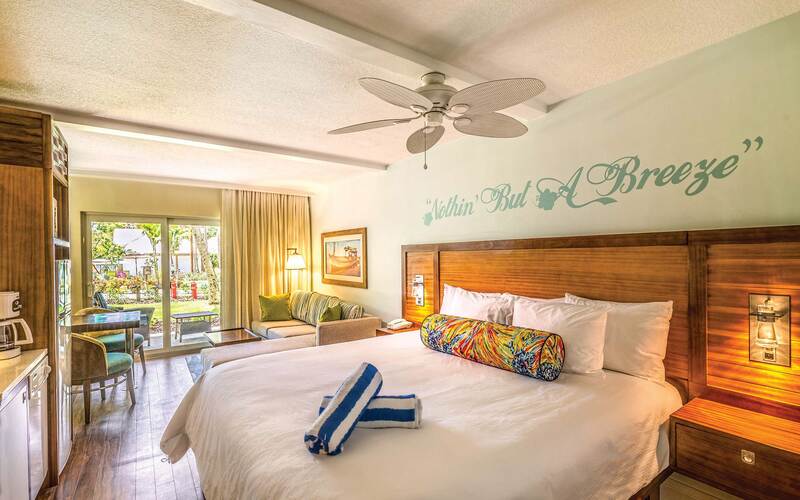 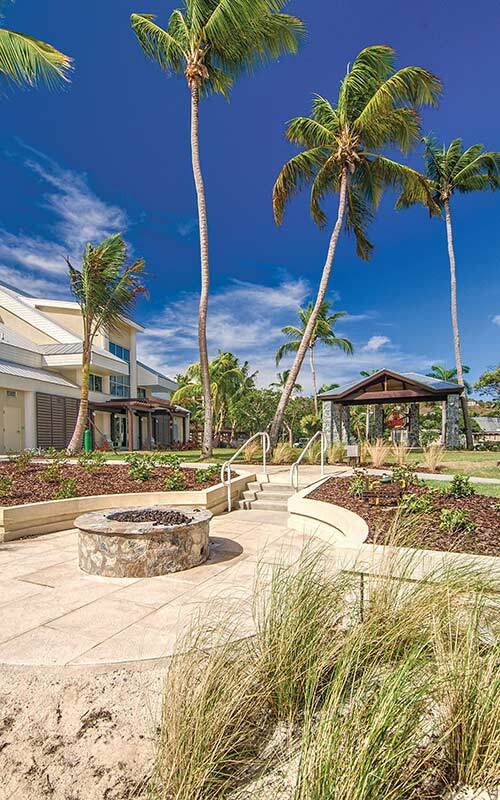 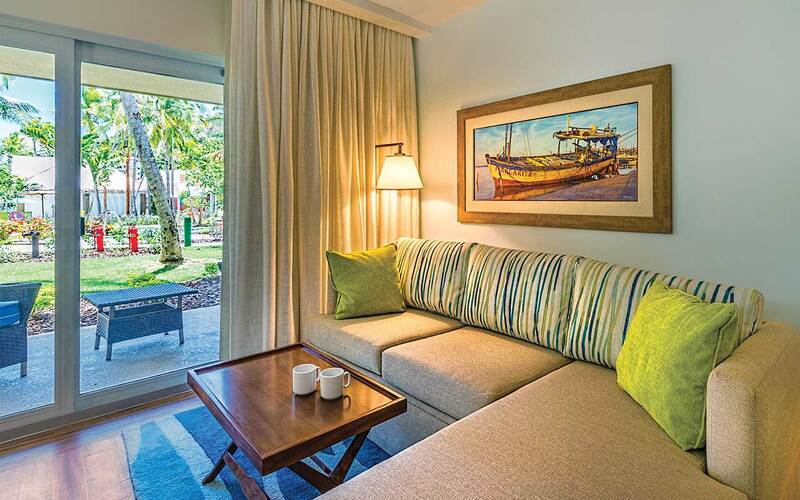 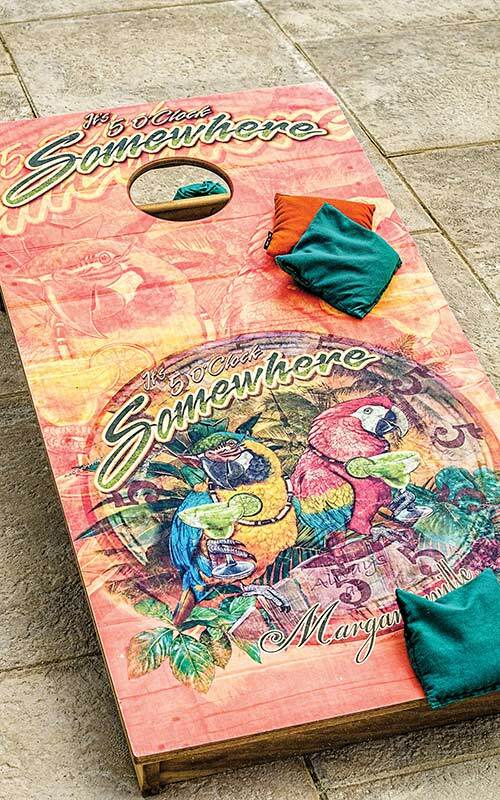 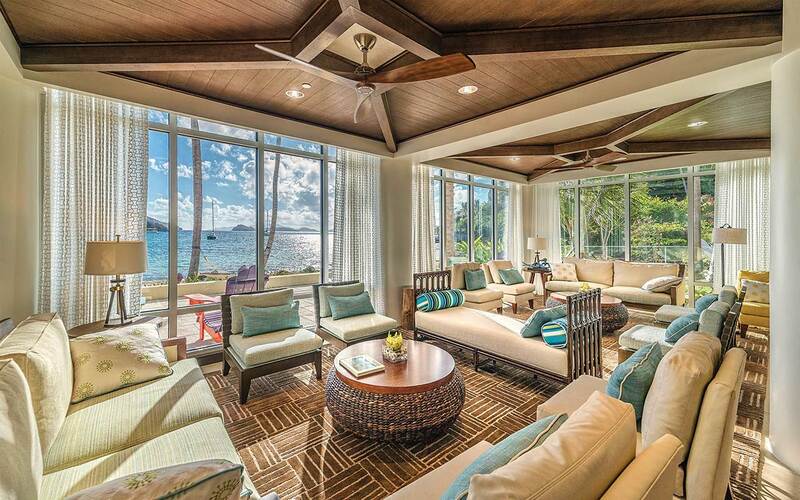 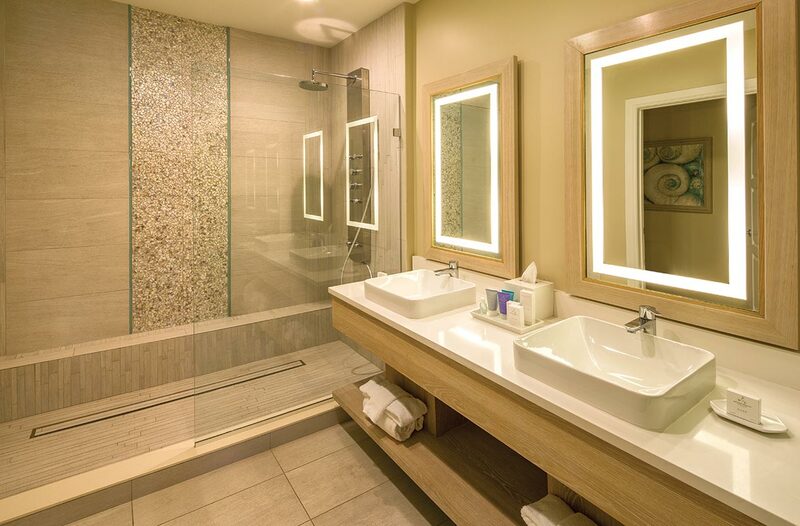 Inspired by the lyrics and lifestyle of Jimmy Buffett’s Margaritaville®, Wyndham St. Thomas covers all the bases. 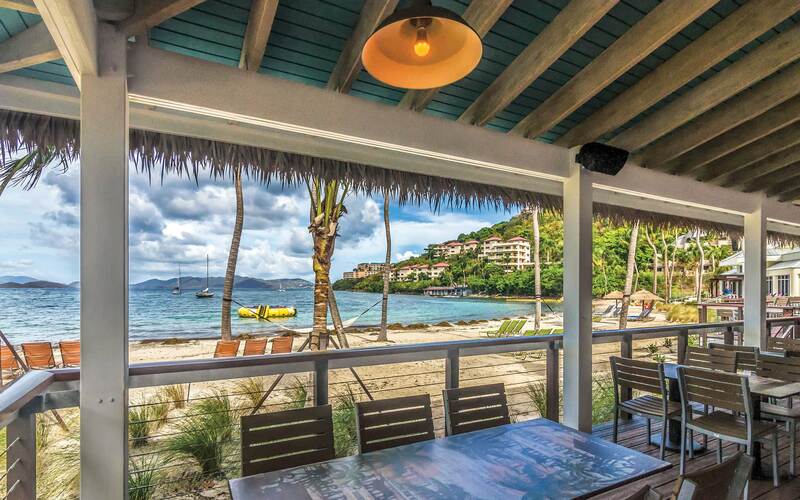 Located on Water Bay at the eastern end of St. Thomas, this beachside location is nestled in a cove fringed by waving palm trees. 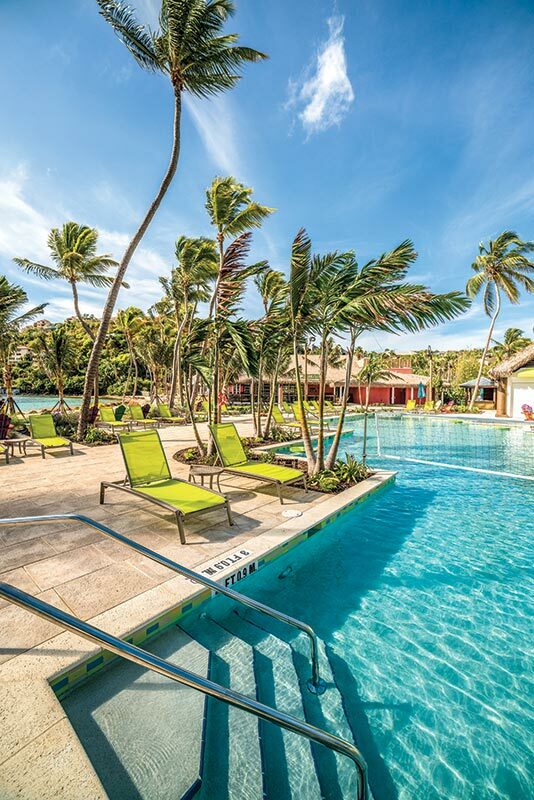 It’s the perfect escape for anyone with a sense of adventure looking for music and fun on your next vacation. 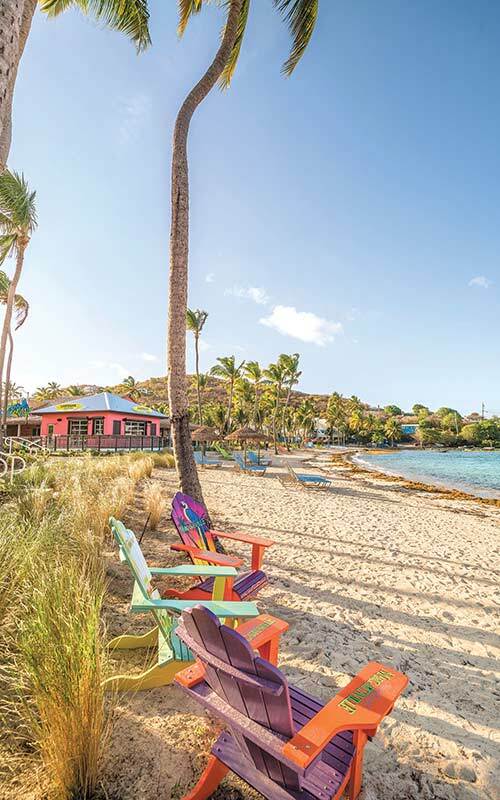 Or if you’re dreaming of a more laid-back experience — grabbing that beach chair, kicking off your flip-flops, sipping a margarita while looking out onto an expanse of fine white sand, crystal-clear waters and St. John island in the distance — then this is the place for you. 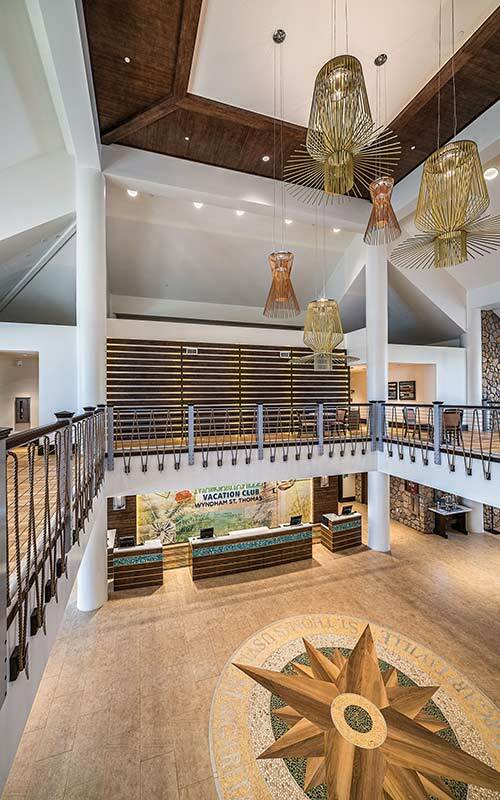 From the moment you pass the native stone entry walls and start hearing those familiar songs, you will enter a world like no other. 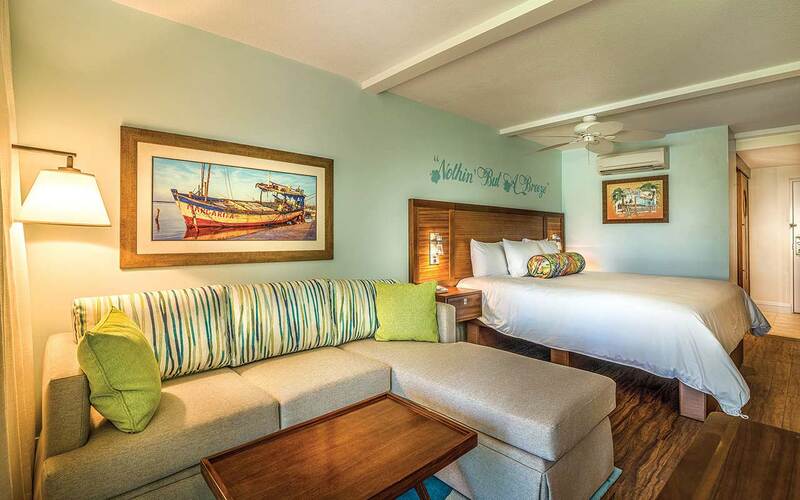 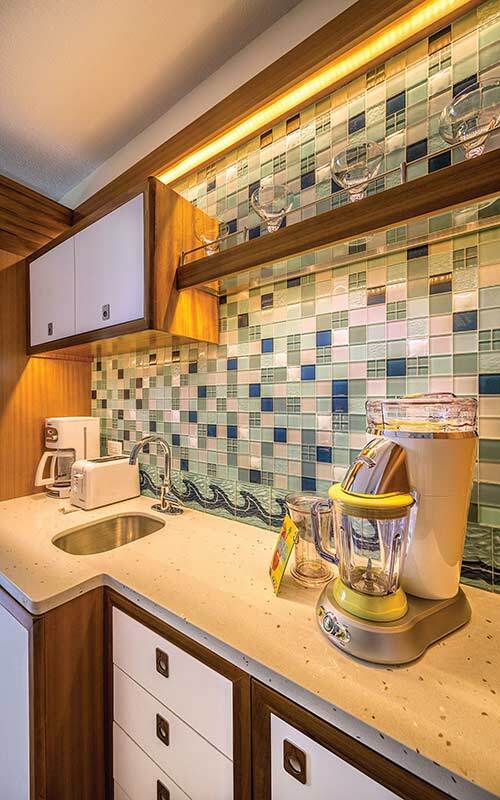 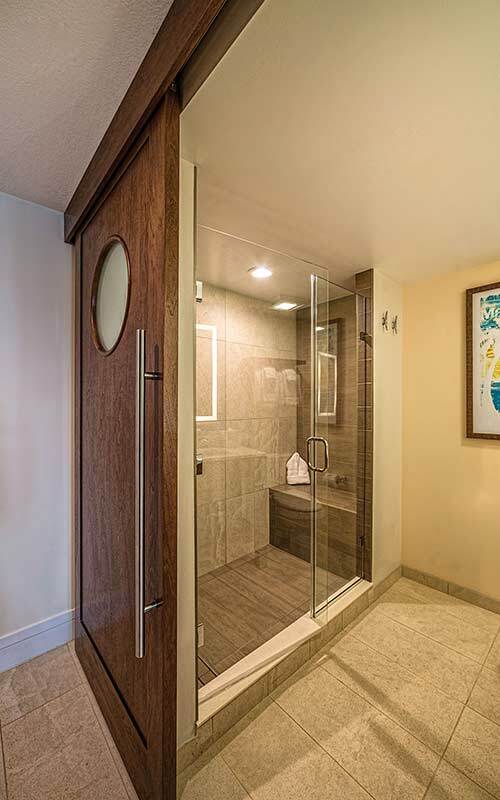 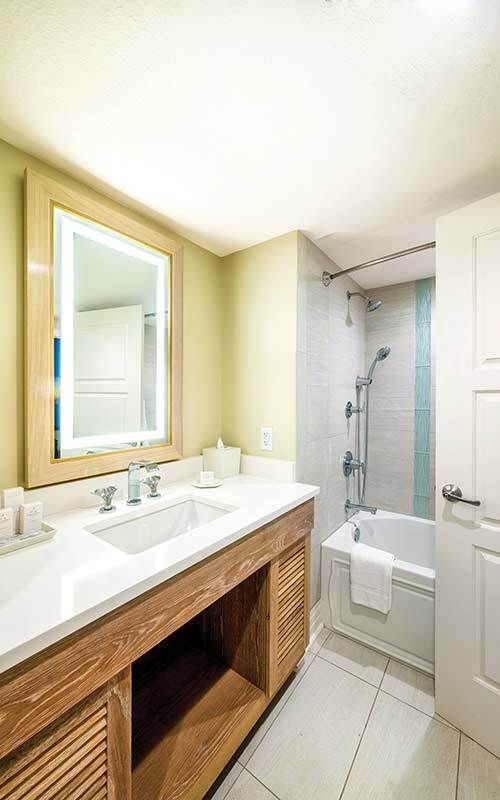 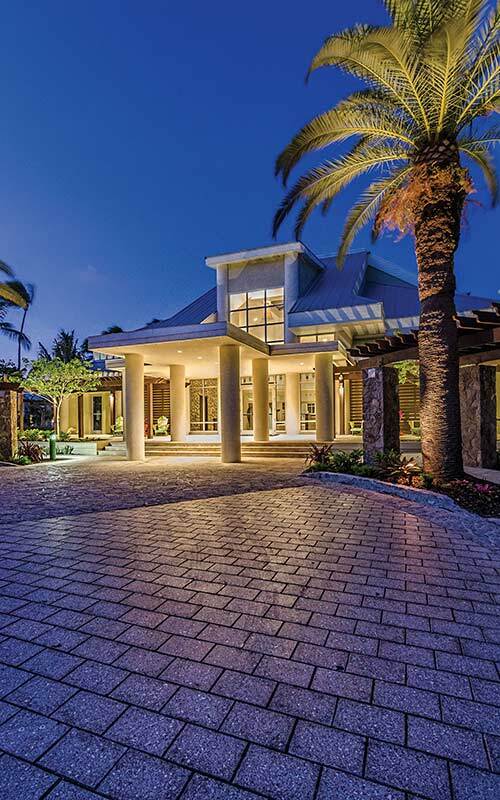 This unique resort features studio, one-, two- and three-bedroom suites, each portraying a nautical feel, with clean lines and custom millwork. 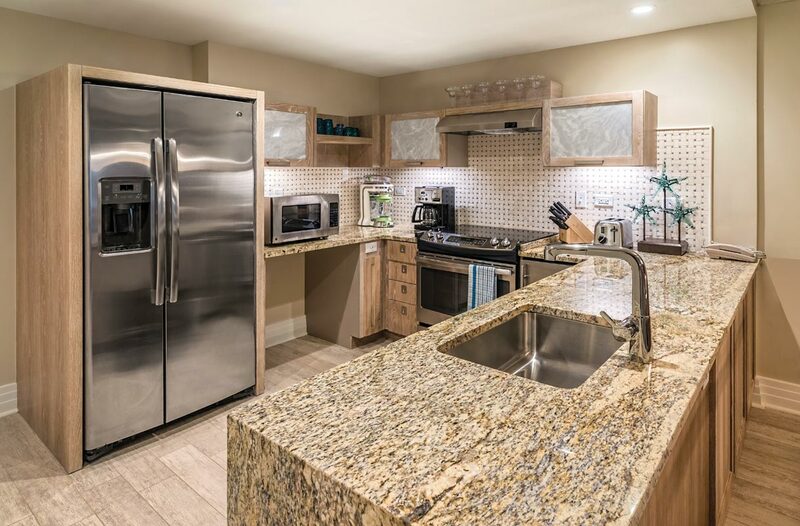 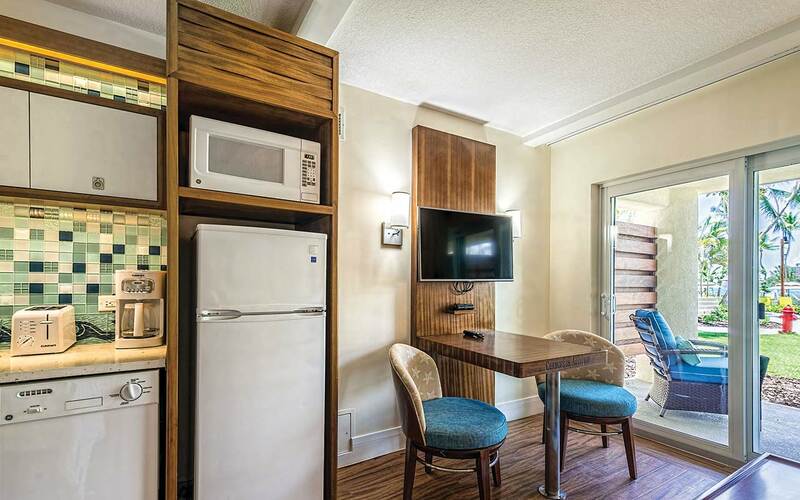 Fully equipped kitchens include a bar area complete with Frozen Concoction Maker® and all units have a relaxing outdoor seating area. 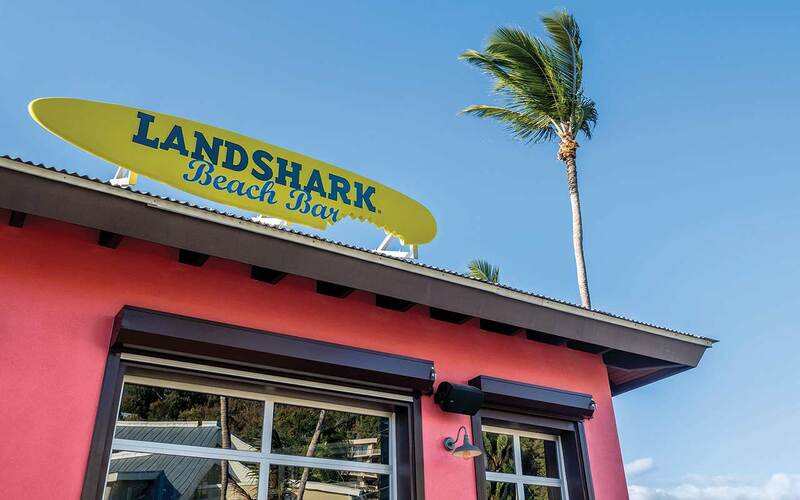 When it’s time to play, retreat to the hot tub, find an empty hammock calling your name, or enjoy a salty margarita, ice-cold LandShark lager or boat drink at the 5 O’Clock Somewhere Bar! 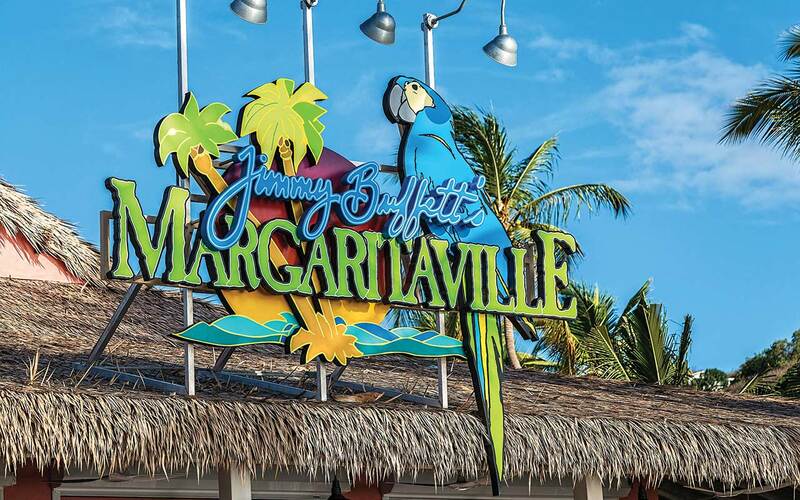 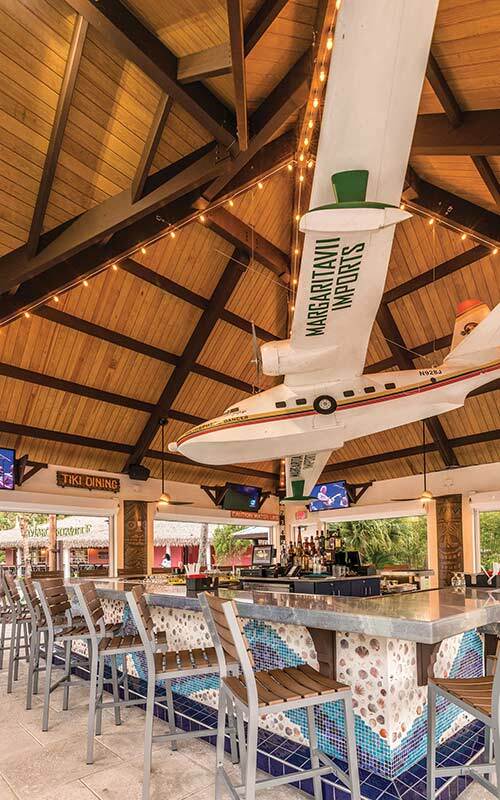 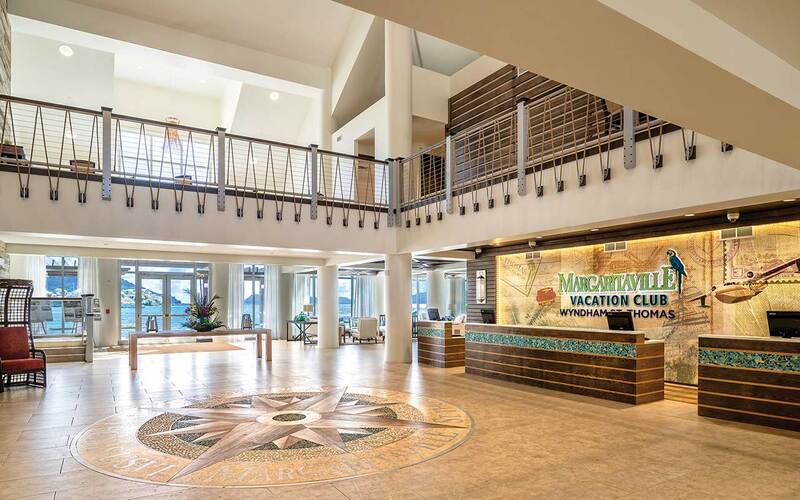 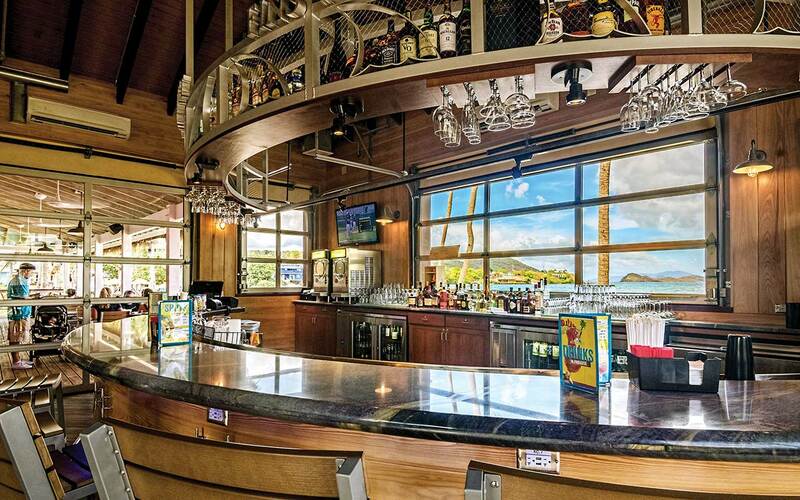 And it wouldn’t be paradise without a Margaritaville® Restaurant serving up island-inspired food with a twist, including that juicy cheeseburger in paradise. 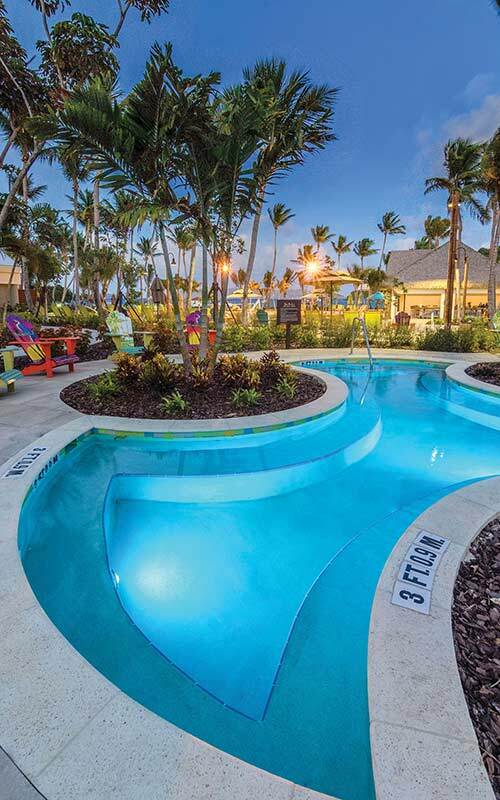 As evening begins, watch the setting sun while you share stories and laughter around the fire pit. 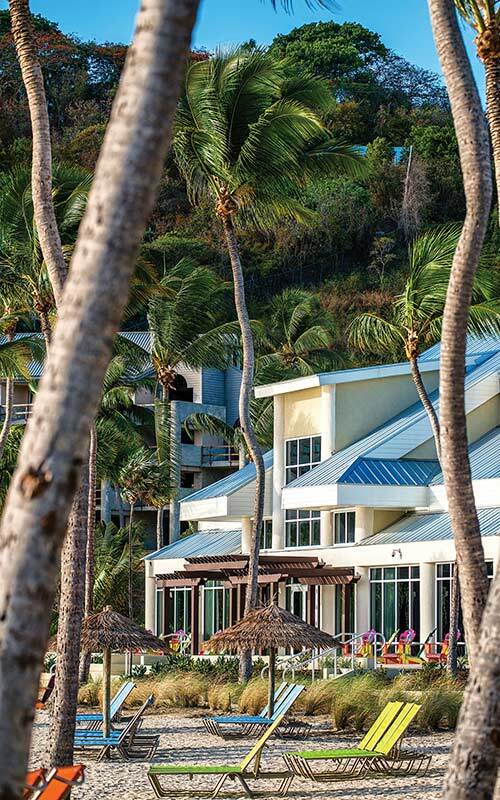 Tiki bars, songs from St. Somewhere and tropical breezes — it doesn’t get any better than this. 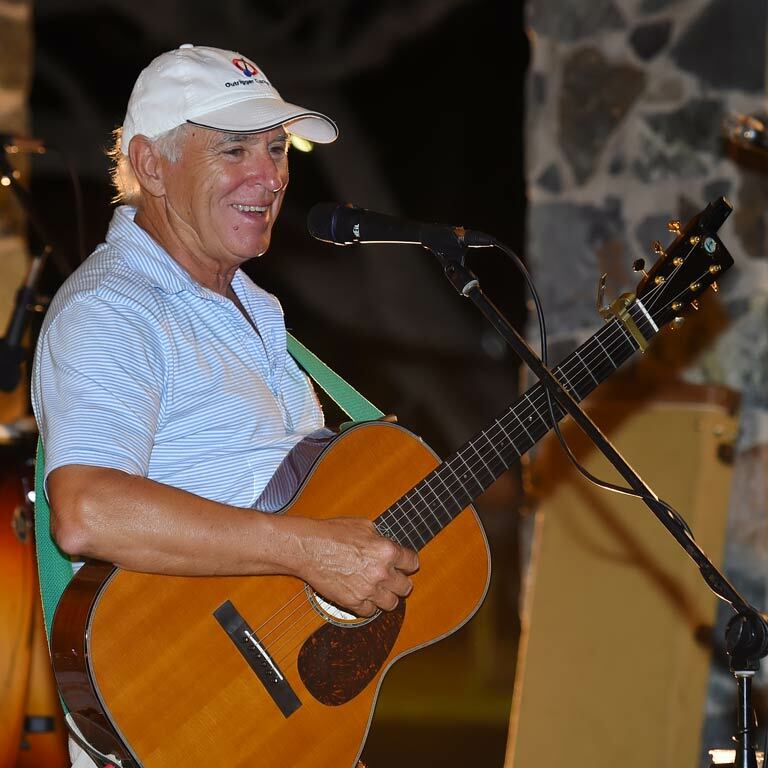 Jimmy Buffett performing at Wyndham St. Thomas. 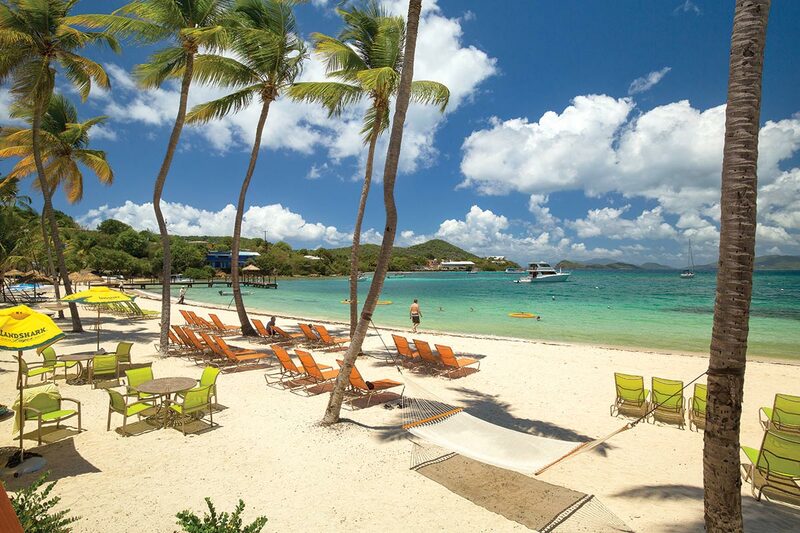 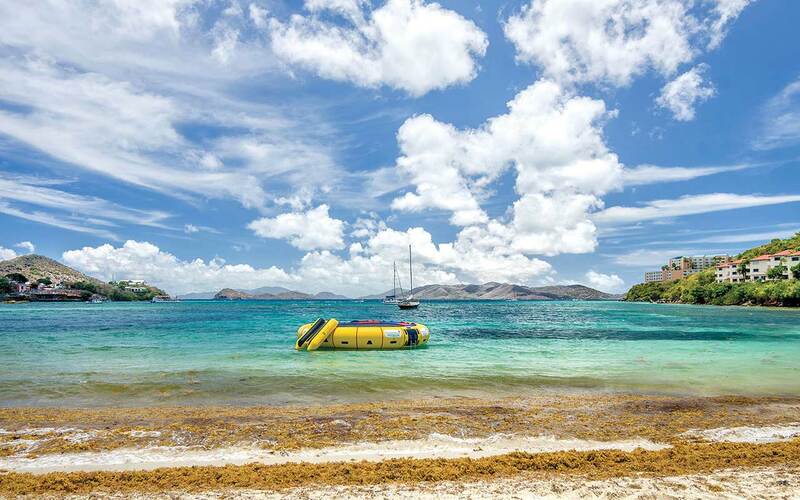 Here are some popular attractions and activities in St. Thomas.